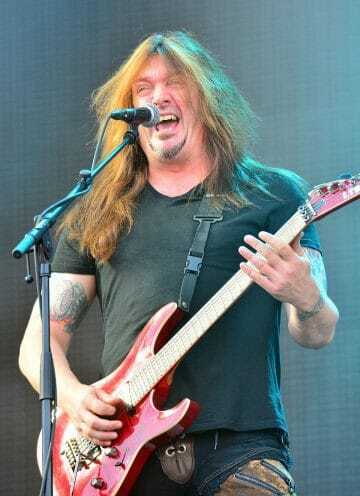 It is no secret that former Skid Row lead vocalist Sebastian Bach has publicly made it known that he wants to reunite with his former bandmates including guitarist Dave ‘Snake’ Sabo and bassist Rachel Bolan to do a Skid Row reunion. The talks seemed to be heating up just as Guns N’ Roses were about to embark on their Not In This Lifetime tour with their “reunion” of classic line-up members Axl Rose (lead vocals), Slash (lead guitar) and Duff McKagan (bass). Sabo was recently interviewed on the Trunk Nation show on SiriusXM channel Volume.